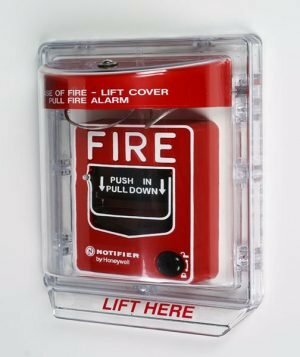 The NOTIFIER NBG-12 Series is a cost-effective, feature-packed series of non-coded manual fire alarm pull stations. 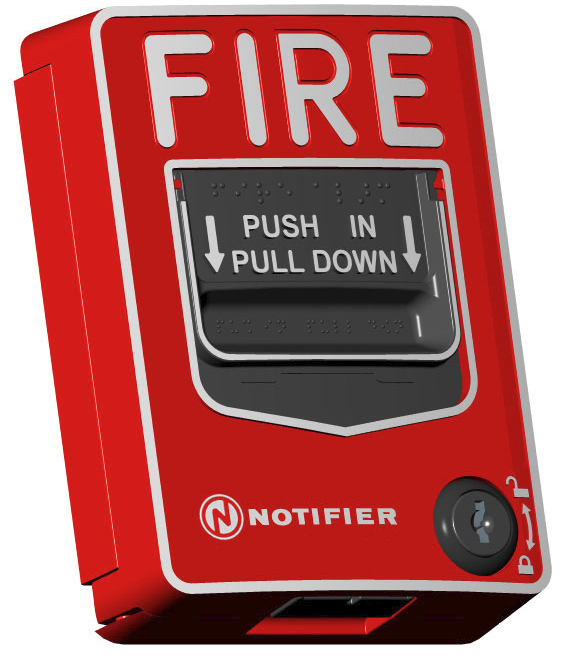 The NOTIFIER NBG-12 Series is a cost-effective, feature-packed series of non-coded manual fire alarm pull stations. 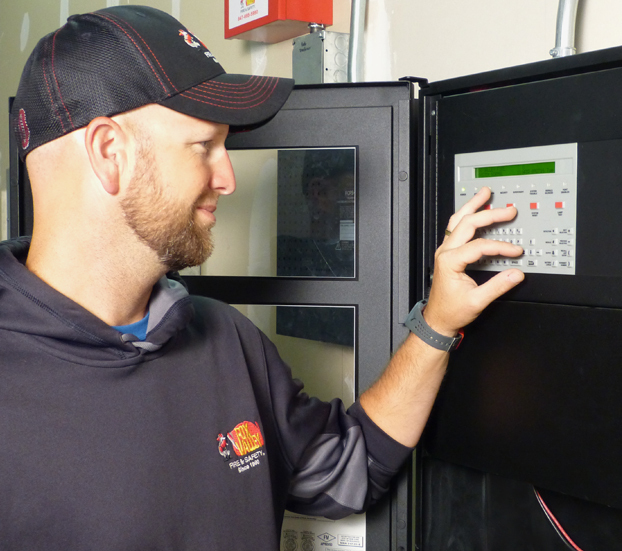 It was designed to meet multiple applications with the installer and end-user in mind. The NBG-12 Series features a variety of models including single- and dual-action versions. 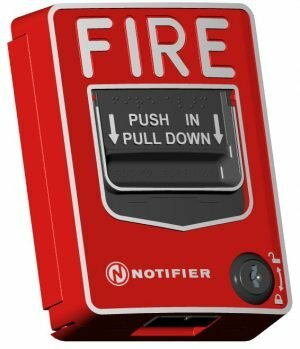 The NBG-12 Series provides an alarm initiating input signal to conventional fire alarm control panels (FACPs) such as the SFP Series, and to XP Transponders. Its innovative design, durable construction, and multiple mounting options make the NBG-12 Series simple to install, maintain, and operate. 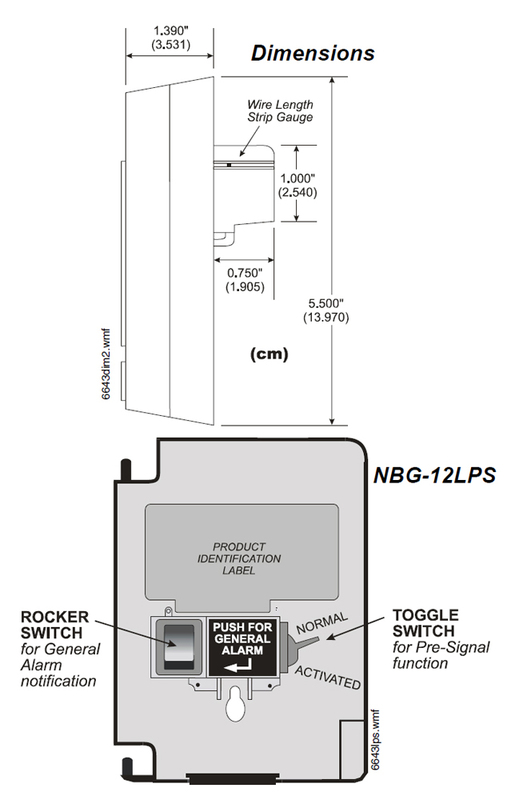 The NBG-12 manual pull stations provide a textured finger-hold area that includes Braille text. In addition to PUSH IN and PULL DOWN text, there are arrows indicating how to operate the station, provided for non-English-speaking people. Pushing in and then pulling down on the handle activates the normally-open alarm switch. Once latched in the down position, the word “ACTIVATED” appears at the top in bright yellow, with a portion of the handle protruding at the bottom as a visible flag. Resetting the station is simple: insert the key or hex (model dependent), twist one quarter-turn, then open the station’s front cover, causing the spring-loaded operation handle to return to its original position. The alarm switch can then be reset to its normal (non-alarm) position manually (by hand) or by closing. Easily operated (single- or dual-action, model dependent), yet designed to prevent false alarms when bumped, shaken, or jarred. The word “ACTIVATED” appears on top of the handle in bright yellow, further indicating operation of the station. Terminal screws backed-out at factory and shipped ready to accept field wiring (up to 12 AWG/3.1 mm²). Can be surface-mounted (with SB-10 or SB-I/O) or semi-flush mounted. Semi-flush mount to a standard single-gang, double-gang, or 4″ (10.16 cm) square electrical box. Backplate is large enough to overlap a single-gang backbox cutout by 1/2″ (1.27 cm). Spanish versions (FUEGO) available (NBG-12LSP, NBG-12LPSP). Designed to replace the legacy NBG-10 Series.